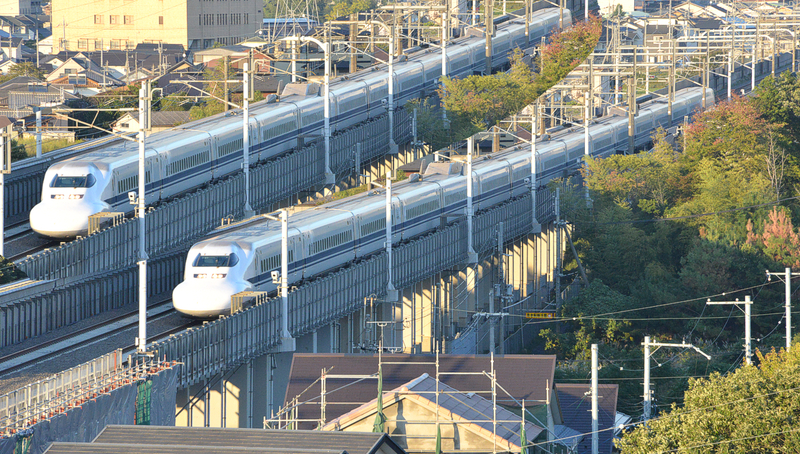 "The Leaning Tower illusion using a photo of a Shinkansen (Japanese bullet) train"
The two trains appear to diverge, though the two photos are identical. 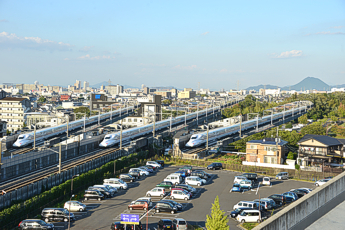 "The Leaning Tower illusion using a photo of a Shinkansen (Japanese bullet) train 2"
"The Leaning Tower illusion using a photo of a Shinkansen (Japanese bullet) train 3"
The three trains appear to diverge, though the three photos are identical. This looks like an autostereogram, but it's not. 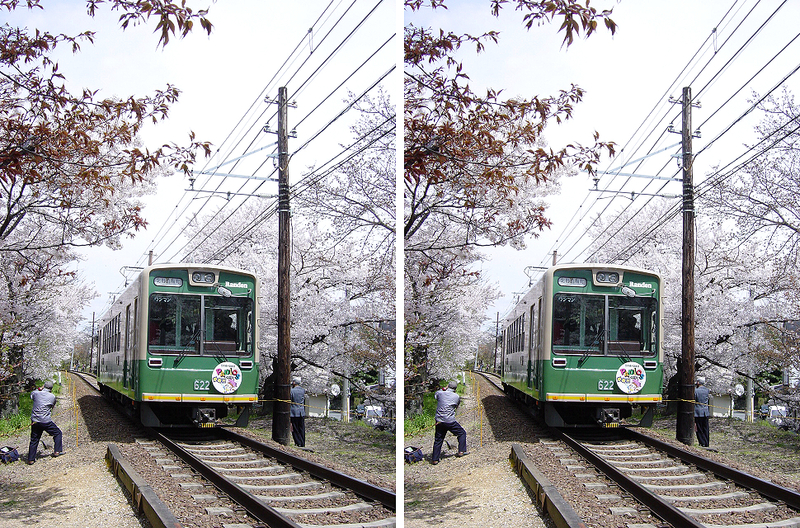 "The Leaning Tower illusion using a photo of a Keihintohoku-line train"
"The Leaning Tower illusion using a photo of a Shinkansen (Japanese bullet) train 4"
"The Leaning Tower illusion using James"
The left James appears to tilt to the back as compared to the right James, though the two images are identical. 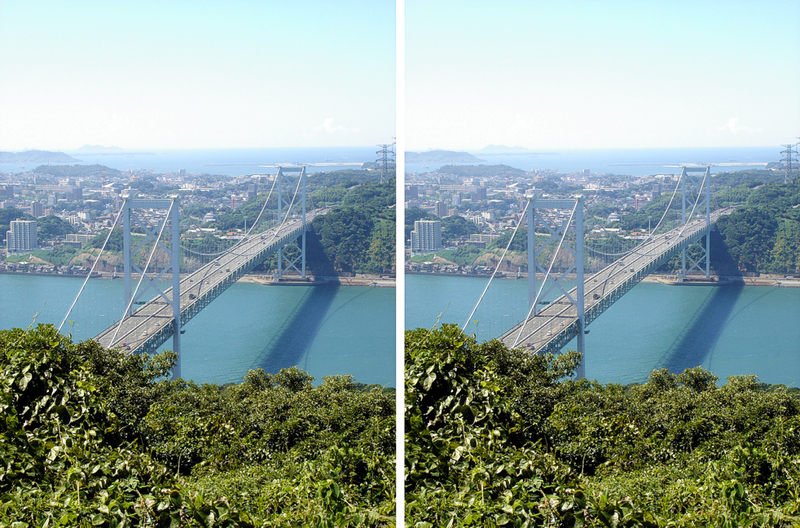 "The Leaning Tower illusion using a photo of the Kanmon-kyo Bridge"
The bridge in the right photo appears to head more rightward than that in the left one, though the two photos are identical. So does the shadow on the strait. 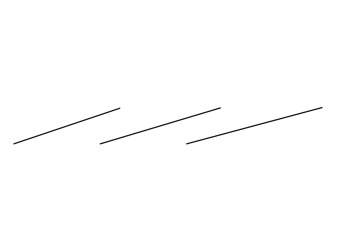 The three lines of broken line segments are parallel to each other but they appear to diverge toward the mountain. The three line segments are parallel to each other but they appear to diverge toward the mountain. The left car is the exact copy of the right original and placed in parallel, but it appears to swing the tail outside. 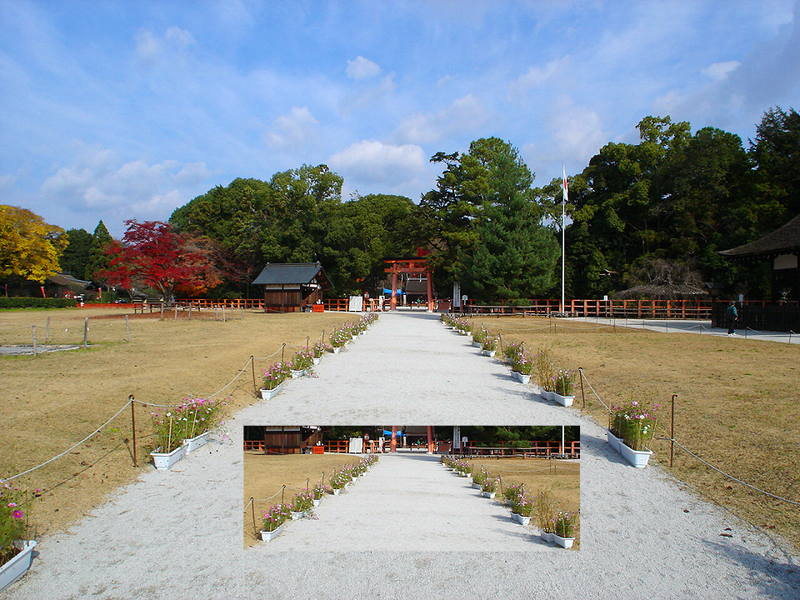 "The Leaning Tower illusion using a photo of the Kamigamo Shrine"
The rectangular part is a copy of the area just above and is pasted downwars in parallel to the original. 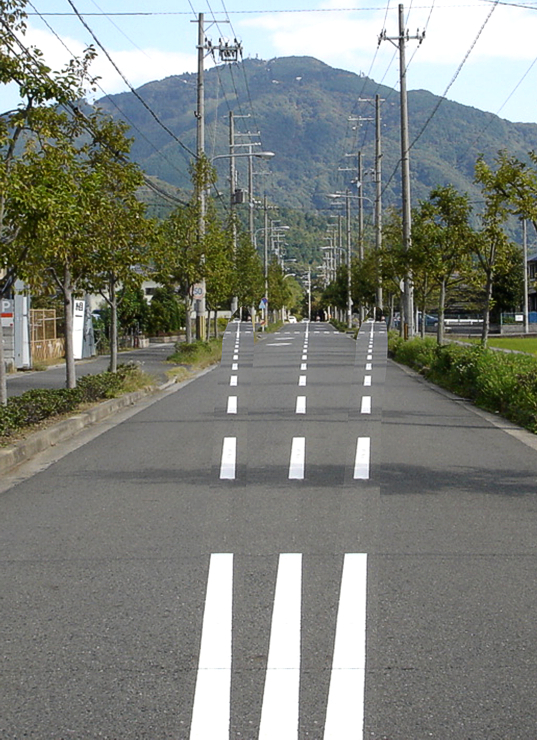 Each pair of edges of a road is parallel but appears to diverge. Only duplication is enough, but this method takes space. "The Leaning Tower illusion: 3D"
Two trapezoids in each frame are the same shape and size and aligned in parallel, but the right one appears to be tilted more clockwise than the left one (Leaning Tower illusion). 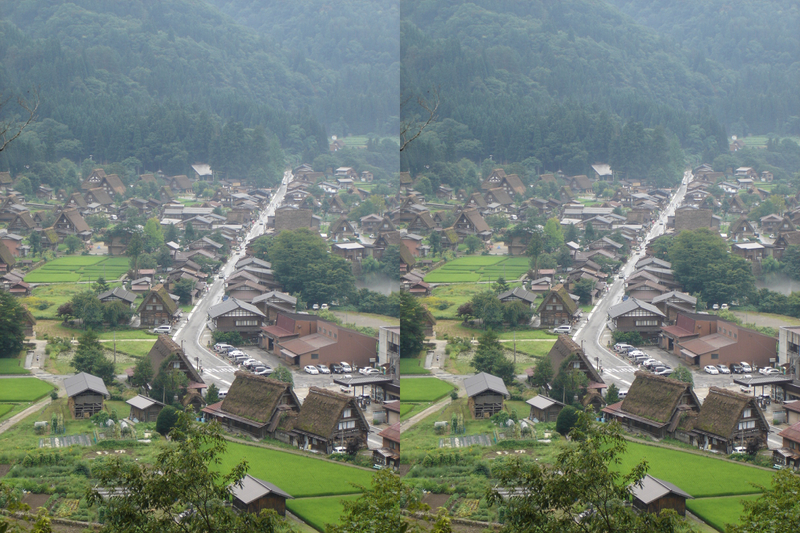 This effect is enhanced by binocular stereopsis in that the upper (shorter) side appears to be farther than the lower (longer) side. 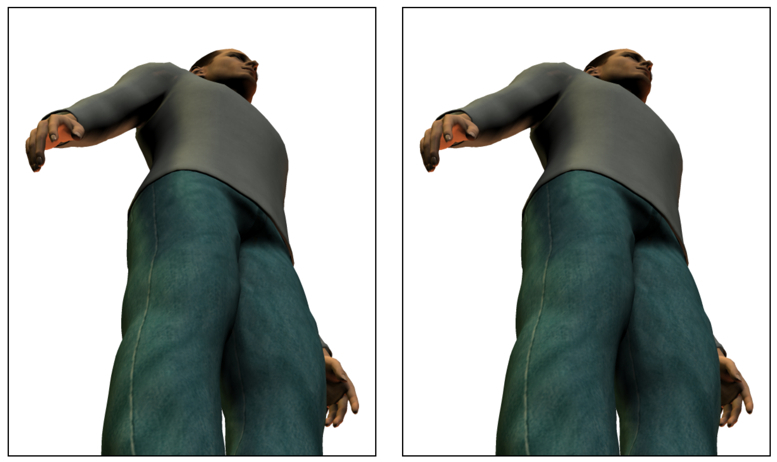 On the other hand, this effect is decreased by binocular stereopsis in that the upper (shorter) side appears to be nearer than the lower (longer) side. In the top row, the two identical cylinders appear to diverge toward upper-right. 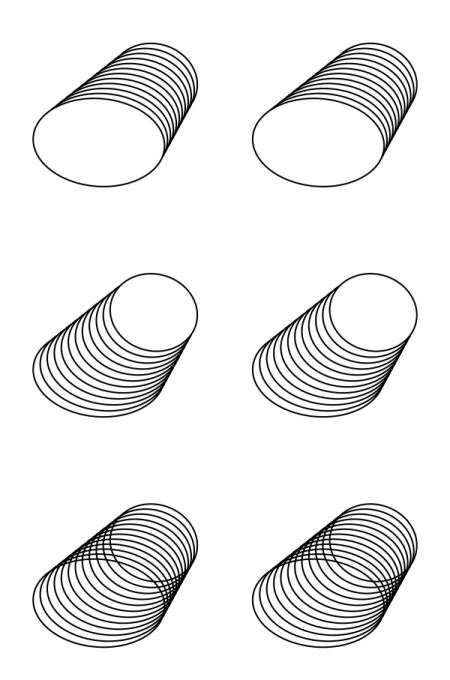 In the middle row, the two identical cylinders appear to diverge toward lower-left. In the bottom row, the apparent direction depends on the orientation of the reversible images. 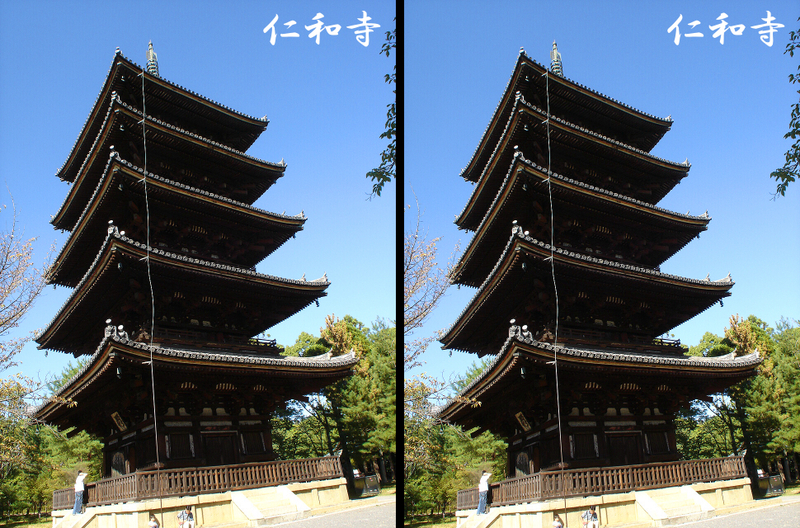 The left tower appears to tilt counterclockwise more largely than the right one, though they are the same picture. This tower is not leaning, actually. The right road appears to tilt more clockwise than the left one, though they are the same picture. 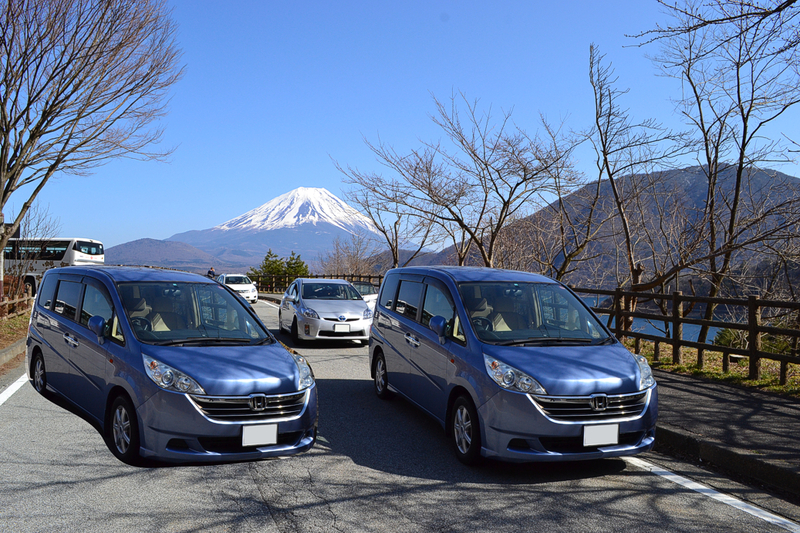 The left car (photo taken from behind) appears to head more leftward than the right one, though they are the same picture. 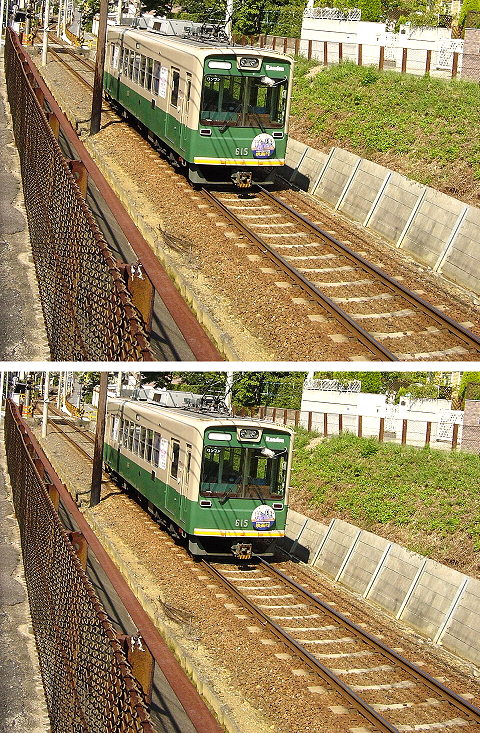 The upper car (photo taken from behind) appears to head more upward than the lower one, though they are the same picture. 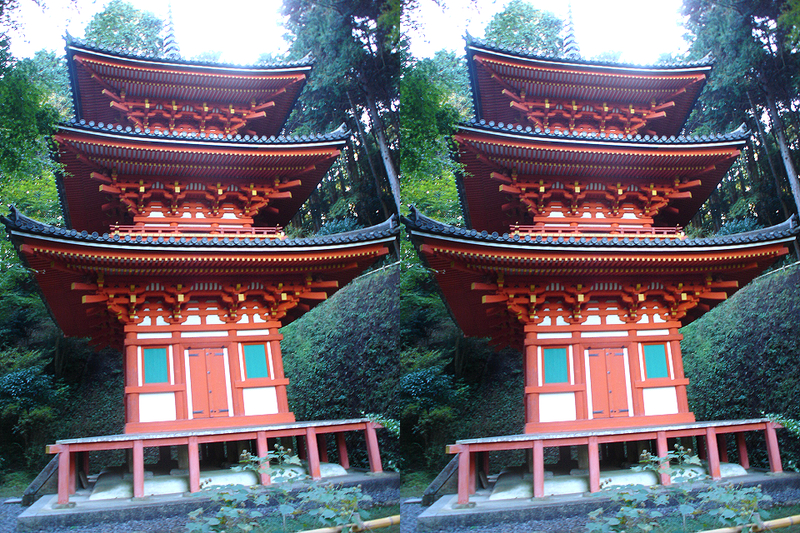 "Leaning-Threefold-Tower of the Gansen-ji temple"
The left tower appears to incline more than the right one, though they are the same picture. 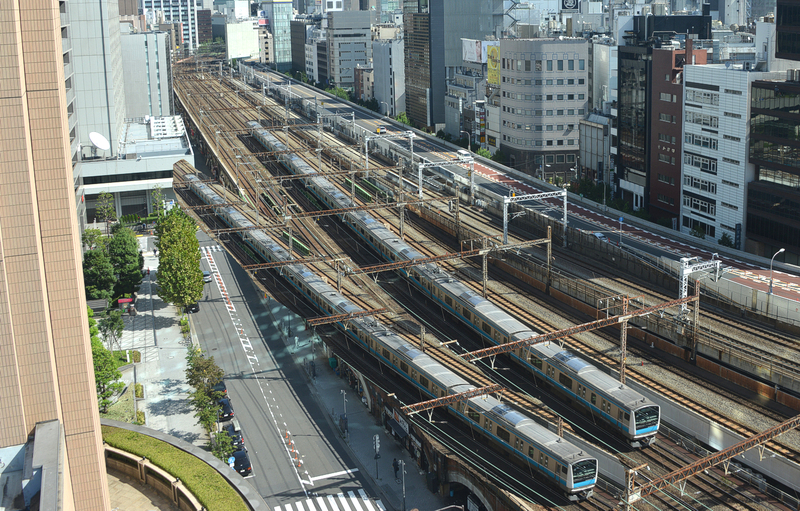 Both trains appear to approach each other when they move toward us, though they are the same picture. 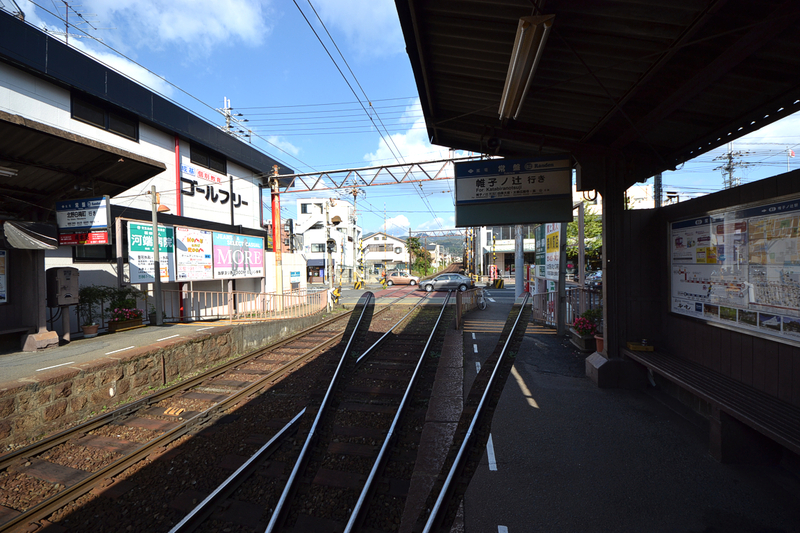 "Tanano-gawa river and Mt. 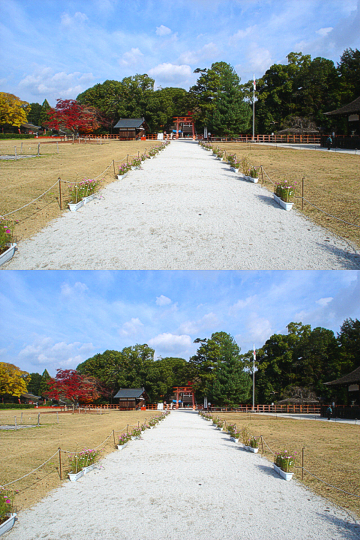 Hiei-zan"
The left river appears to incline in the image more than the right one, though they are the same picture. This picture contains at least three illusions. (1) The left staircase appears to head slightly leftward, the middle one appears to go in the middle direction, while the right staircase appears to head slightly rightward. This illusion is a variant of the Leaning Tower illusion (Kingdom et al., 2007). (2) In each staircase, lower steps appear to tilt leftward while the upper ones rightward. This illusion is called the skewed staircase illusion by S. Tsuinashi. (3) Each staircase appears to ascend, though this effect is weak. 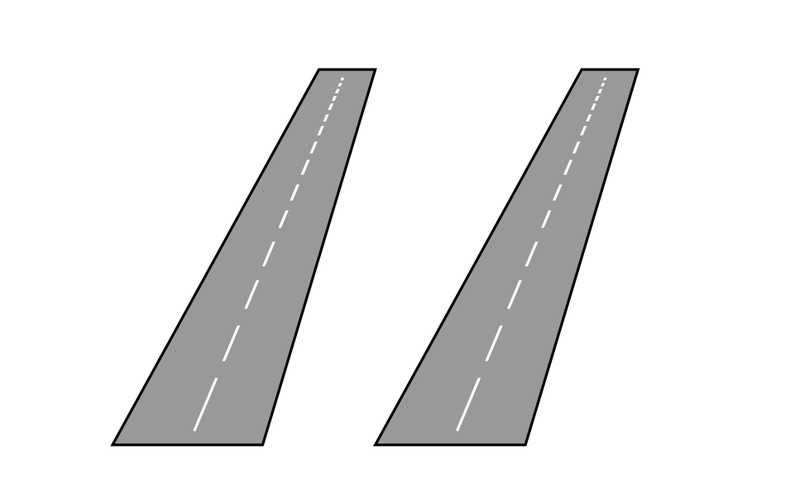 The right runway appears to tilt from the vertical more than the left one, though they are identical. This effect should share the same machanism as that of "The Leaning Tower Illusion". 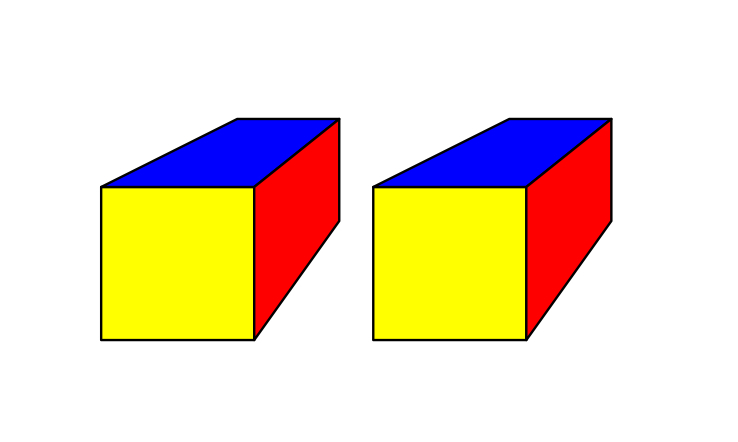 The right box appears to point more right than the left one, though they are the same image. 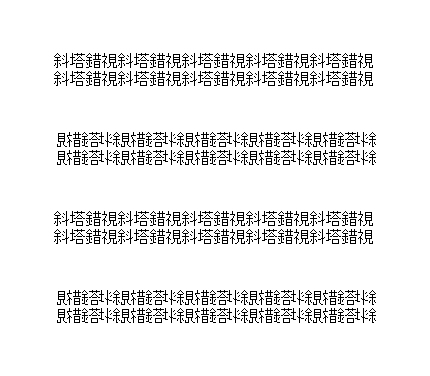 The Chinese characters meaning the Leaning-Tower illusion appear to tilt clockwise if they are repeated.